Ya know…I’m so excited to meet my future husband one day, fall in love, and live with him for the rest of my life. But…the thought of not being able to make a meal that ONLY I want every night…a meal for JUST myself each night without worrying if he won’t like it, or if I won’t like what he’s making…I’m not gonna lie, it makes me a little sad! When she said that I just smiled and giggled with an inexpensive glass of pino grigio in hand, as I sat there feeling grateful that I wasn’t alone on that thought. Cooking for only yourself is pretty therapeutic. What do YOU want for dinner? Healthy? Unhealthy? As long as you took the time to cook it, and you cooked it to your own special taste – it’s a pretty rejuvenating experience after a long day at work. It’s a sign that you’re taking care of yourself (especially if you chose the healthy route). Sure, there are nights when all you want to do is have someone else cook for you (like that handsome man of your dreams who you get to spend the rest of your life with! ), or to get take out from the best pizza place in town. There are also nights when all you want to do is have good friends over, cook for them and celebrate how much you appreciate them. And, of course, there are the days when you’ve met the love of your life and you practically want to prepare a 6 course meal for them. You’re in love! 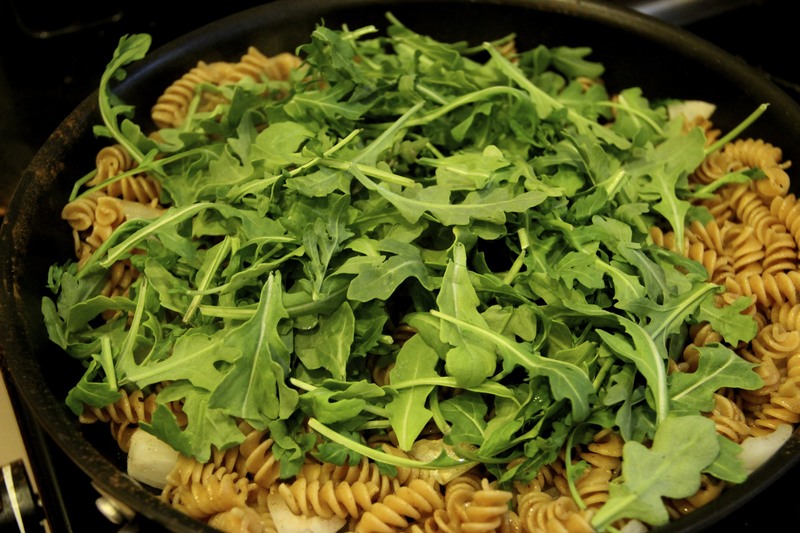 But seriously though…Sometimes it’s just nice to cook for yourself. When Sean and I were in our first full year of dating, his work led him out to Salisbury, Maryland while I stayed in the D.C. area. Because the driving distance was 3 hours or more, we only saw each other on the weekends. Dinners together, cooking together, or cooking for whomever was traveling on that particular Friday after work – that was the norm. It was also so incredibly special. We had the week to cook on our own, be on our own, and then the weekend to spend time together, to cook together, and to explore either the Eastern Shore or D.C. together. It was a uniquely beautiful balance of time. 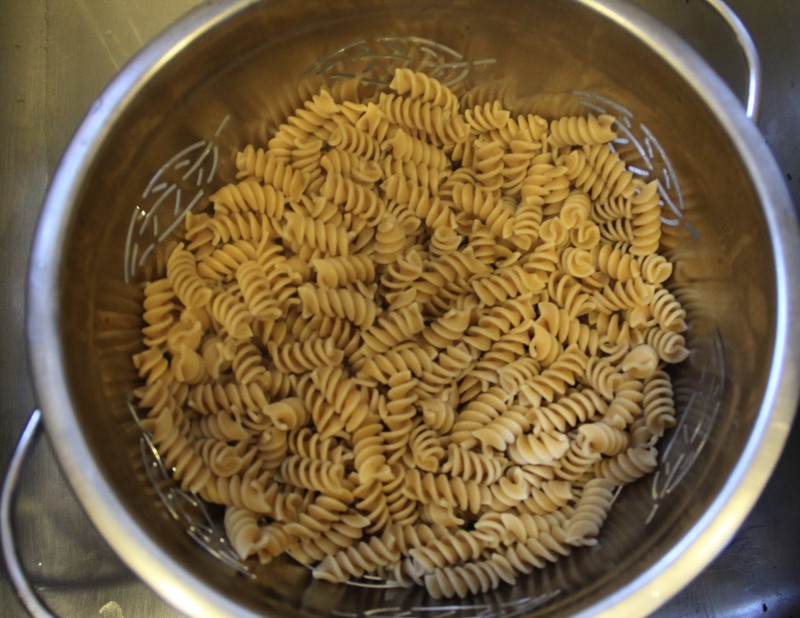 Whole wheat pasta! Sean doesn’t like it…but I do! 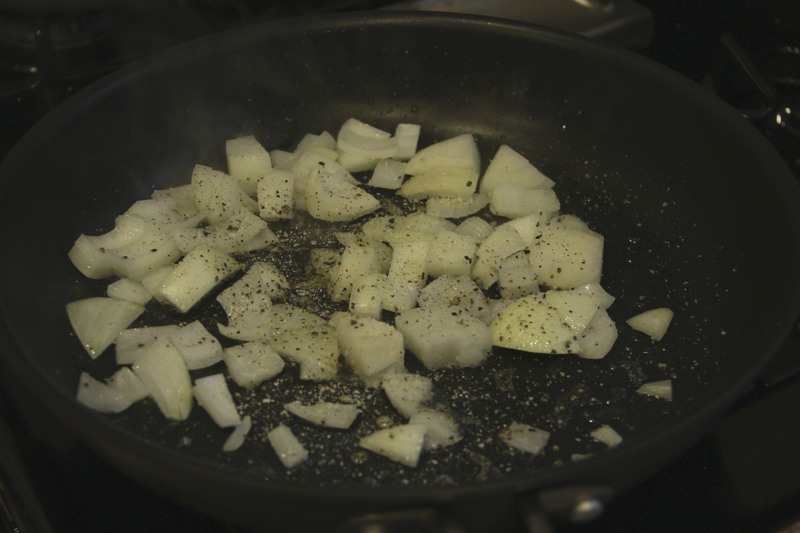 Sautéed onions, ground pepper & salt, garlic salt, and extra light olive oil … just to set the mood. So yeah, that was delicious. If you like simple yet delicious tastes, I recommend it. 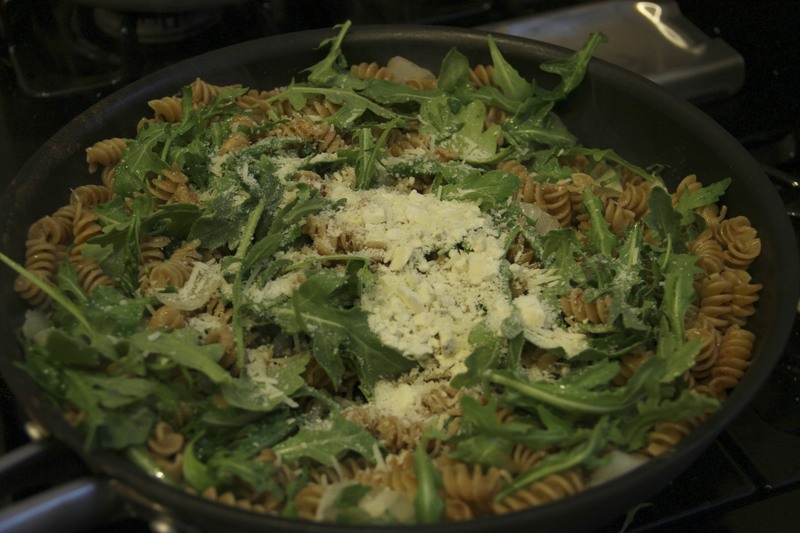 At the end I added two kinds of cheese: Blue and Shredded Parmesan. Then…comes my not-so-secret ingredient: cinnamon. Seriously. Cinnamon adds a perfect balance to the whole dish. I’ve started putting a little tiny bit of cinnamon in nearly every pasta dish I make – it smoothes out the overall taste beautifully. It was delish! Had enough for dinner and two lunches stored for the rest of the week. Happy cooking, happy living, and happy Tuuuuesday!